Phonemes (and graphemes), rhyme, basic punctuation and handwriting will all be part of your child's Y1 English learning journey. Use our Progress checks to see how they're getting on, help them prepare for the Year 1 Phonics Screening Check and find out if there are any areas they're finding tricky so you can support them at home. 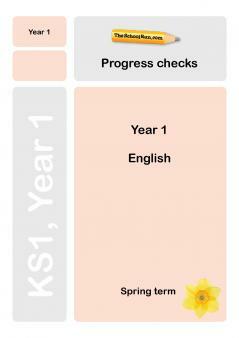 Written by a KS1 teacher to help you identify any areas of Y1 literacy your child needs extra practice in, the Y1 English Progress checks will suggest phonics and writing skills to focus on at home. Each term’s English test consists of 20 questions and a total of 20 marks. Allow your child around 20 minutes to complete the test. 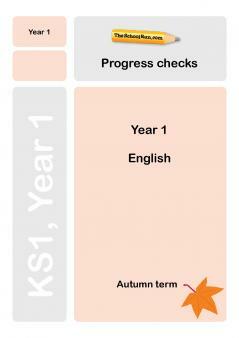 For more information about what your child learns in Year 1 English read our parents' guide; you can also browse all our Y1 English worksheets or follow our Learning Journey for Y2 English.